Home › Advocacy › Is Sutton really trying to provide sustainable transport? 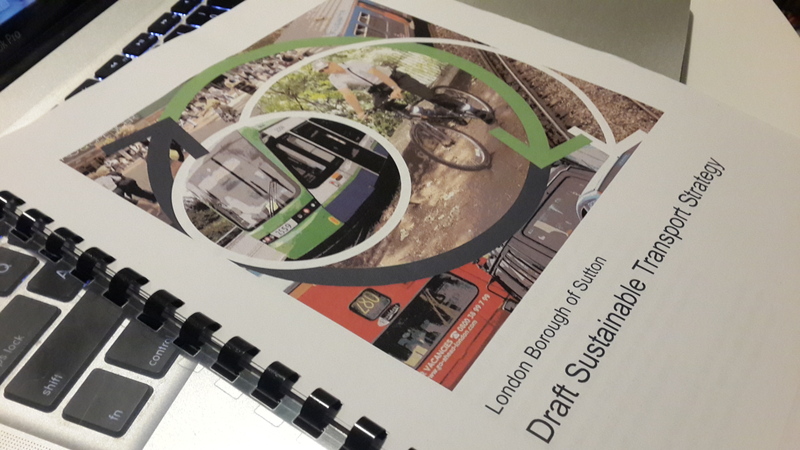 Sutton Council is consulting local residents and stakeholders on its Draft Sustainable Transport Strategy and would like to hear your views. You need to provide feedback by January 4th. A number of us have read the document and pooling together our views. My view, is that the strategy is nowhere near ambitious enough when it comes to cycling. The council only looking to increase cycling rates from 1% to 2.2% in 5 years. The average in London is around 6%. Sutton clearly has a long way to go. Anecdotal evidence I have had from people in the borough is that traffic is a major issue. Clearly cycling is a possible solution that has been proven to work in Europe and now in the USA, with more and more cities seeing that cycling provides a better, more pleasurable environment. It is also good for the economy, especially local independent businesses. I urge you to download the strategy and take a look as this will set the agenda in Sutton for the next 10 years. Let us know what you think of the strategy in the comments below.